Home » Our Doctors » Blaine Watkins, O.D. Dr. Watkins was born in Alberta Canada, but has lived in the USA for over 12 years. 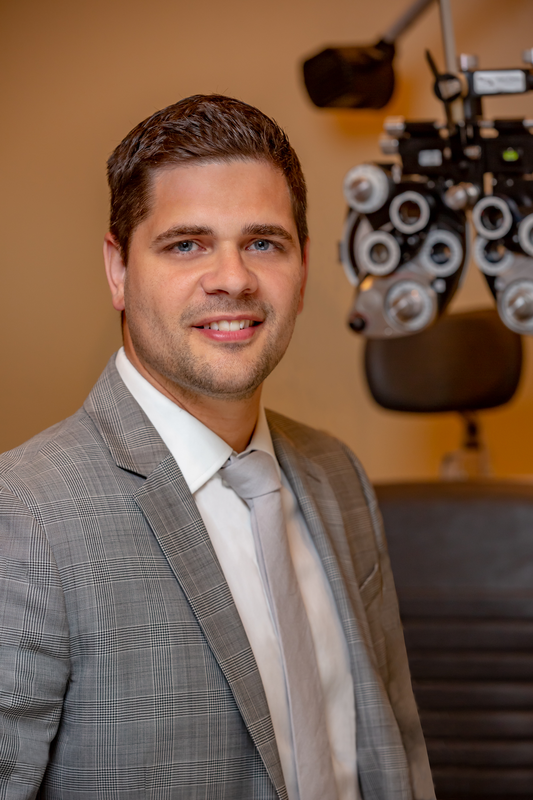 He maintains his Canadian roots by playing Ice Hockey weekly and eating poutine regularly, in his spare time Dr. Watkins enjoys spending time his 5 kids and his beautiful wife Michelle, as well as playing golf, traveling and binge-watching Netflix. Dr. Watkins received his training in Chicago at the Illinois College of Optometry, where he graduated with honors. He is proficient at diagnosing and treating anterior segment disorders, glaucoma, macular degeneration, diabetic retinopathy and cataracts. Dr Watkins enjoys interacting with his patients and takes pride in having them see their best. Se habla Español.